Tired of short sale and foreclosure games? 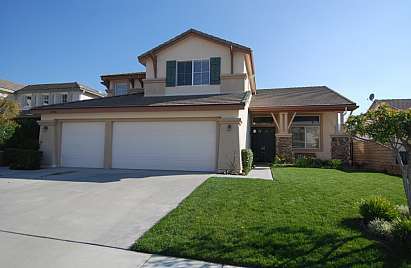 Check out this STANDARD SALE beauty in desirable Fair Oaks Ranch! Located on a quiet cul-de-sac at the top of the hill, this fantastic home boasts 4 true bedrooms and a large bonus room (easily a 5th bedroom, seller will add a closet if desired). Full bed & bath downstairs makes great guest room. Large family room opens to kitchen with island and generous cabinetry and counter space. The backyard has a large covered patio that allows you to enjoy the tranquil setting of the foothills directly behind you (no rear neighbors). Large 3 car garage. Write up your offer today and you could be moving in 30 days!